We propose a stochastic π-calculus modelling approach able to handle the complexity of post-translational signalling and to overcome some limitations of the ordinary differential equations based methods. The model we developed is customizable without a priori assumptions to every multisite phosphorylation regulation. We applied it to the multisite phosphorylation of the Pho4 transcription factor that plays a crucial role in the phosphate starvation signalling in Saccharomyces cerevisiae, using available in vitro experiments for the model tuning and validation. The in silico simulation of the sub-path with the stochastic π-calculus allows quantitative analyses of the kinetic characteristics of the Pho4 phosphorylation, the different phosphorylation dynamics for each site (possibly combined) and the variation of the kinase activity as the reaction goes to completion. One of the predictions indicates that the Pho80-Pho85 kinase activity on the Pho4 substrate is nearly distributive and not semi-processive as previously found analysing only the phosphoform concentrations in vitro. Thanks to the compositionality property of process algebras, we also developed the whole PHO pathway model that gives new suggestions and confirmations about its general behaviour. 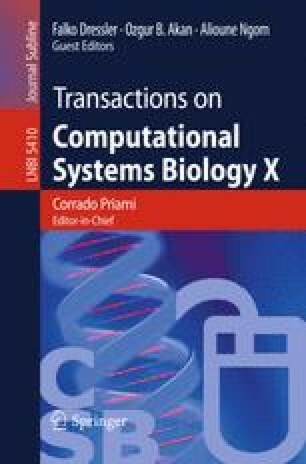 The potentialities of process calculi-based in silico simulations for biological systems are highlighted and discussed.